Through the years the Lydian String Quartet, founded in 1980 and in longtime residence at Brandeis University, has taken a notably practical approach to recording. Rather than flooding the market with more Haydn quartets or other standard repertoire, the group has focused on the less trafficked byways of 20th-century chamber music, and on making reference recordings of works by living composers — among them Peter Child, Lee Hyla, Charles Fussell, John Harbison, and Yehudi Wyner. But surely over the decades there grows in any ensemble the desire to leave behind a document of its relationship to the works at the summit of its inherited repertoire. 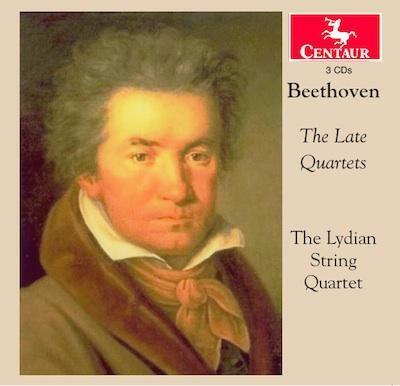 Beethoven’s late quartets have a reputation as difficult and unapproachable music, an image that can be overstated, as first violinist Daniel Stepner argues in the liner notes of this new set. Either way, it’s nice to see a group wait to record this music until it has something significant to say. These distinguished readings are full of subtlety, tonal refinement, and a sense of accumulated musical wisdom. Bach’s solo violin works present the composer’s genius in its starkest form, bringing composer and performer alike to the expressive limits of a single string instrument. They’re a kind of church music, stripped of its liturgical trappings, yet with its sacred essence intact. With their relative lack of specific performance directions, the six sonatas and partitas have been explored from a huge array of standpoints. 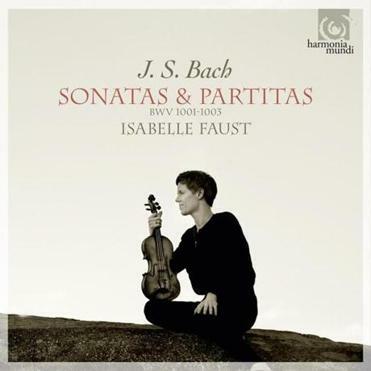 Yet in Isabelle Faust’s second CD of these works, the talented German violinist manages to find something new. Where many violinists imbue them with relentless drama, Faust’s playing is supremely graceful. Symmetry, proportion, and fluidity are her lodestars, and the performances convey an air of serving Bach rather than her impulses. In the G-minor sonata, normally so tragic, she finds flow, and lets the piece unfold with a minimum of angst. Even a movement as intense as the fugue emphasizes rhythmic consistency over angularity and conflict. The B-minor Partita has a similar no-nonsense feel, which doesn’t rob the piece of its emotional power, especially in the Sarabande. And she finds a way to emphasize the A-minor Sonata’s harmonic daring without sacrificing the dusky, beautiful tone of her instrument. This is poised, elegant Bach, and it works extremely well. 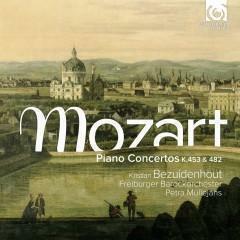 Many of the piano concertos that Mozart composed in 1784 and 1785 are like miniature operas. That’s certainly true of the two that South African fortepianist Kristian Bezuidenhout plays on this exquisite new release. The pastoral No. 17, K. 453, looks ahead to “The Magic Flute,” especially in its questing slow movement, where Papa­geno seems to be searching for his Papagena, and in its finale, where he finds her. The more dramatic No. 22, K. 482, to which Mozart added clarinets, trumpets, and timpani, calls to mind “The Marriage of Figaro,” which the composer was working on at the time. The C-minor slow movement suggests the Countess lamenting the loss of the Count’s affection, and the Andante cantabile minuet of the finale could be the Count’s attempt to win her back. No. 22) Freiburger Barockor-chester. Still, Bezuidenhout plays with such freedom and spontaneity that he creates his own brand of mystery and romance. The arrangement of the performers brings the winds to the fore, and they’re a highlight, crisp and bright. Like Bezuidenhout, they indulge in some discreet ornamenting of their notes, something Mozart probably expected of his musicians. Separating the concertos, as a palate cleanser, is the Rondo in A, K. 386, which has been reconstructed after Mozart’s autograph was cut up and scattered in the 19th century.